Aimee and Darren holding up a couple of Gulf Island chinook from our efforts on Saturday. Happy New Year to all you winter chinook fisherman out there and a Happy New Year it was indeed! 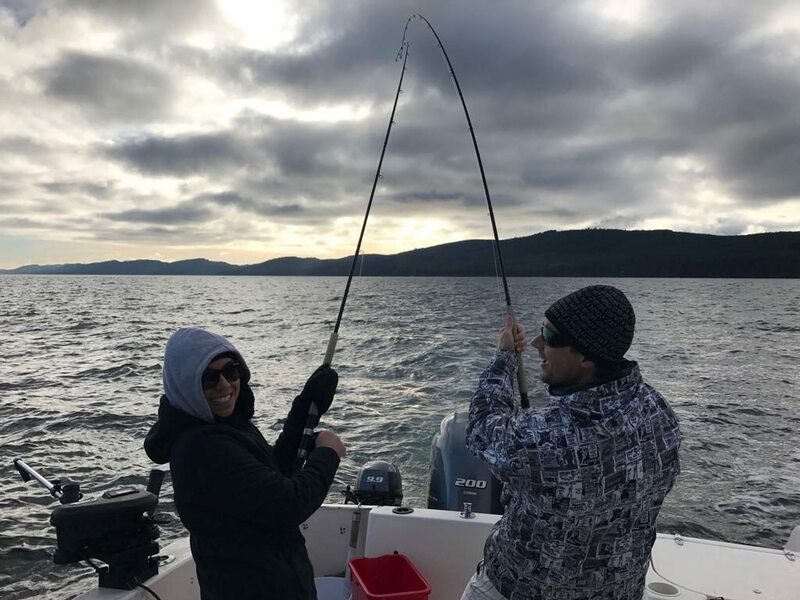 Fishing over the New Years weekend was productive in the Howe Sound area as well as the Gulf Islands. In our local waters Eddie was out on a number of trips in Howe Sound this past week and had consistent fishing with some nice keepers and lots of action from some of the smaller guys as well. Crabbing and prawning has also been decent and made for some great dinners of fresh winter chinook, Dungeness crab, and prawns! 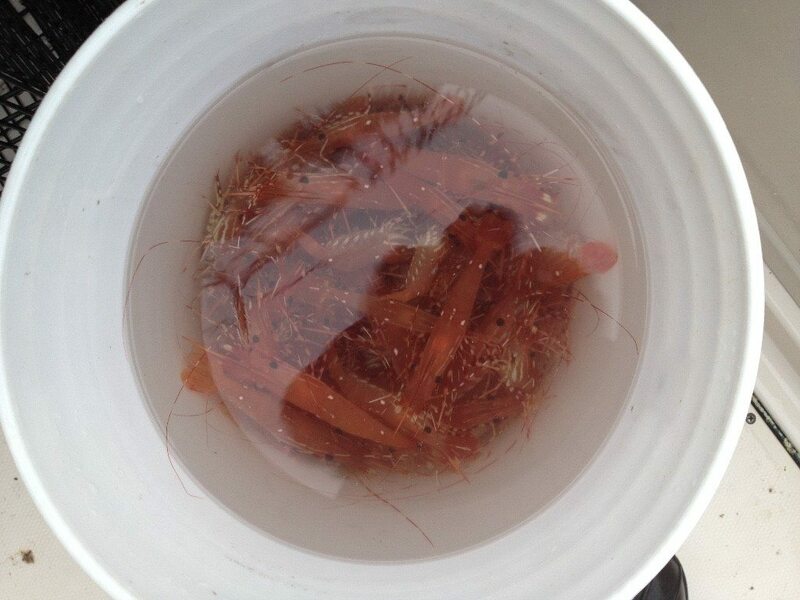 Note that as of Jan 1 there are some winter closures for prawn and shrimp to protect spawning females including areas 28-1 and 28-2 in Howe Sound. There are still plenty of places to prawn but make sure the area you are in is open and also lookout for the sponge reef closures. 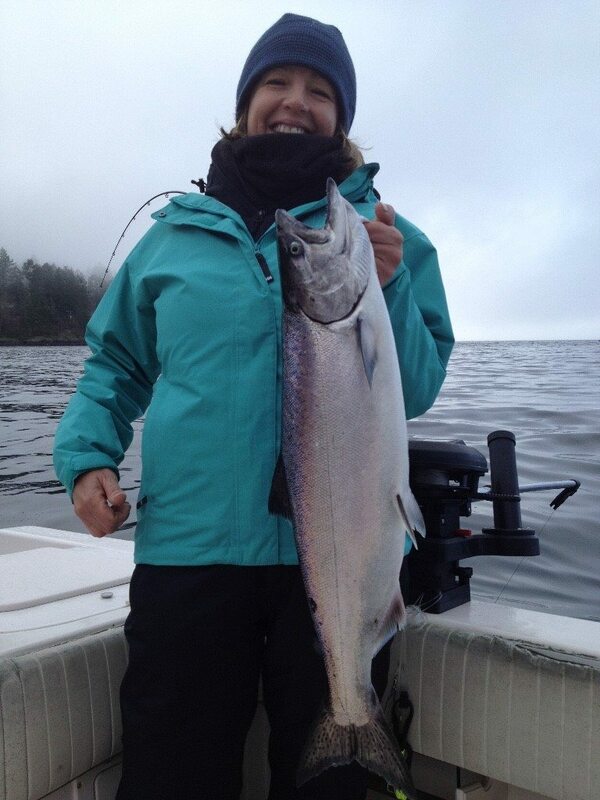 Captain Eddie’s guest with a nice winter chinook from a trip this week. What’s better than fresh winter chinook on the dinner table? Why the addition of some prawns of course. I was lucky enough to make it over to the Gulf Islands for New Years and had the pleasure of taking out some guests and friends from Calgary, Vancouver and as far away as Sweden. 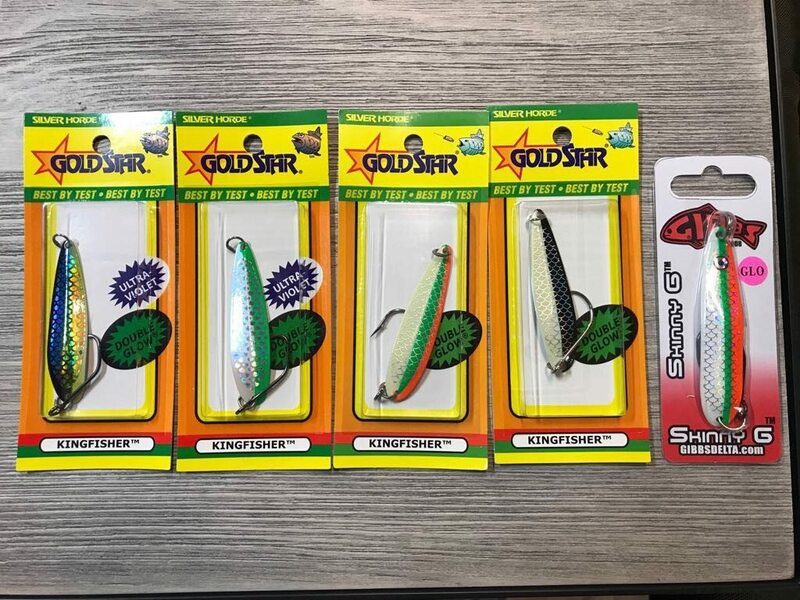 Fishing was great, with lots of bites from a mix of smaller fish all the way up to some nice size ones to keep you on your toes. One of two double headers on Sunday. On this one, one was a keeper and one was too short. Aimee and Darren holding up some nice ones from Sunday’s fishing. From left to right some productive spoons from this past weekend. Herring Aide, Irish Cream, Homeland Security, Night Rider, Outfitter. 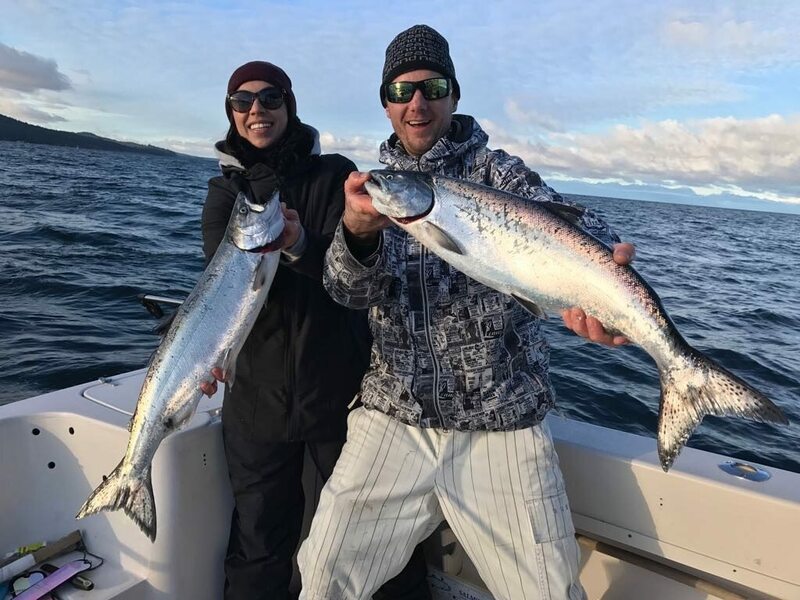 If you want to book a charter and get into some nice winter chinook and drop some traps for prawns and crab, now is a great time to book! Give Lars a call at 778-788-8582 and he will set you up.